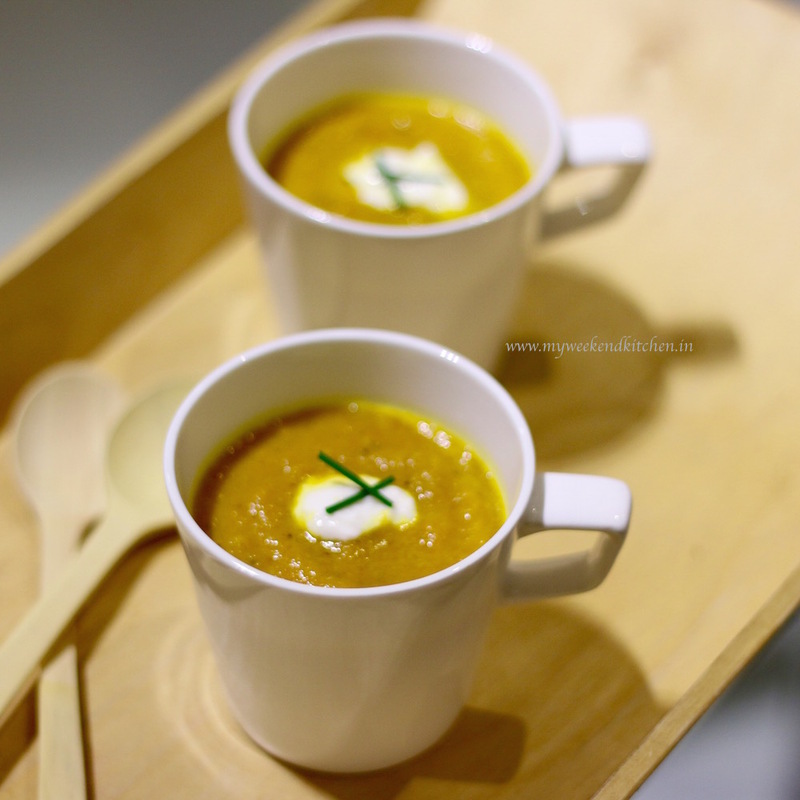 Since then, roasted carrot soup is one of my favourite winter recipe. 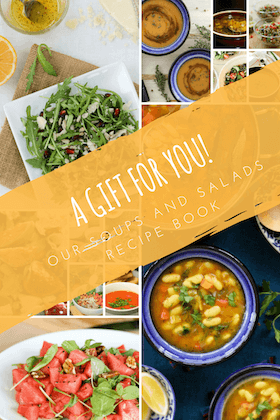 It is a minimal recipe, with few ingredients. The magic of the recipe is in roasted carrots. Roasting enhances the sweetness of carrots. Combined with onions, ginger and garlic; the soup is heaven in a bowl. Preheat oven to 200ºC. In an oven-proof dish, toss the carrots with red chip powder and a little salt. Drizzle about 1 tbsp oil. Spread evenly and roast for about 20-25 mins till some of the carrots just begin to turn black from the sides. Stir once halfway through. Meanwhile, in a large pot, heat 2 tbsp olive oil. When the oil is hot, add onions, ginger and garlic. Sauté for about 5 mins, till the onions start to turn translucent. Add the roasted carrots (direct from the oven), vegetable stock and salt. Cover and bring it to a simmer. Reduce heat and let the soup simmer for another 10 mins, till the carrot is tender. Remove from heat and puree the mixture until smooth. I simply use my hand blender straight in the pot. To serve, add a dollop of yoghurt and a few strands of chives. This recipe is also published in my Indian Express weekly food column. Won’t the skin turn black and you don’t hv to remove it is it? . Thanks for pointing this out. I completely forgot to mention that the carrots are peeled. Thanks again!